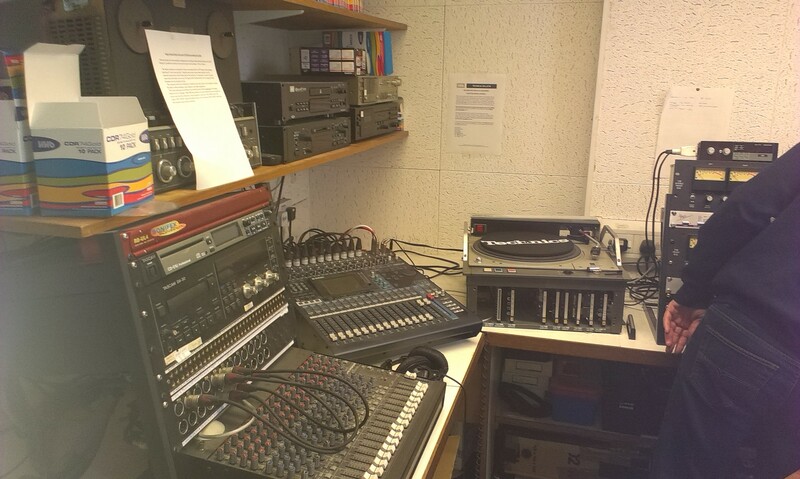 I discovered the AHRC Research Centre for the History and Analysis of Recorded Music and the King’s Sound Archive at King’s College, London, probably a couple of years back and long before I conceptualised the Music Will Win The War project. Having discovered that “the King’s Sound Archive includes some 150,000 78rpm records, mostly UK issues, covering classical and popular releases from the c1900 to c1960″ including a donation by the BBC Gramophone Library in 2001 of c.145,000 duplicate 78rpm records, I knew that this was where I would have to come to make copyright-free digital recordings of the songs we’d need for our HLF project. I’d first contacted Prof Daniel Leech-Wilkinson, Head of the Department of Music at King’s, a couple of months ago, telling him a little about the project. Today I had the pleasure of meeting Dan at King’s. He was very supportive of our ambitions for the project, and very willing for us to use the recording facilities (photos above and below right) originally used with the AHRC project. This will entail looking for complementary funding which, at the present moment, is hard to scope in light of the fact that we really don’t know how many 78rpm records from the Great War period are in the King’s collection. The first stage will have to be to search the Discography online database for items which, using the catalogue number, would then have to be correlated with the inventory of records held by the King’s Sound Archive. Only once we have a list of the records available to us can we then move on to the second stage of making the digital recordings. 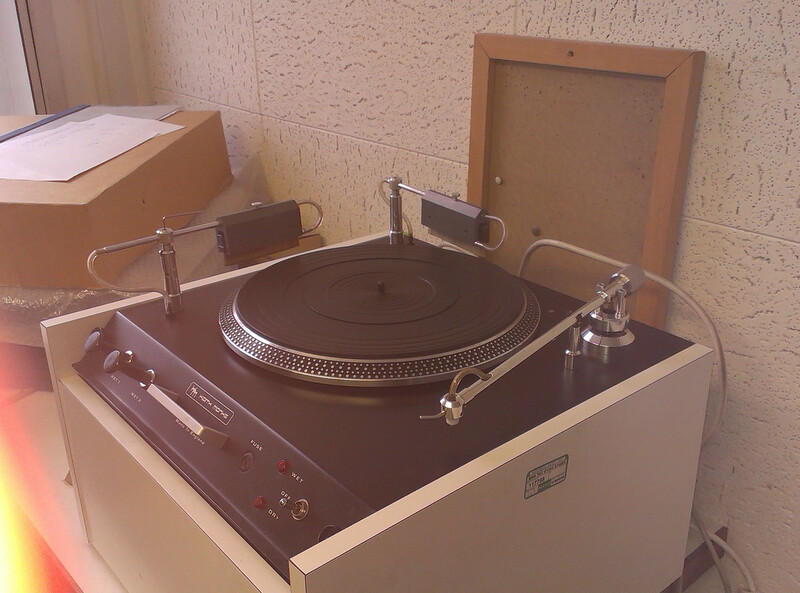 Transfer of one side of a disk is estimated to take around 20 minutes (allowing time to manually adjust settings to get the best sound quality for each record); but there’s an additional time overhead of locating the disc in the gramophone library, held at the Chancery Lane campus, and bringing the discs across to King’s). If we’re aiming to record 500 sides, we’re probably looking at between 200 and 250 hours of work in all. We then need to cost in a sound engineer. My task now is to draft an application for funding of the initial database search (a small grant for what I’d roughly guess to be two to four weeks work) and, at the same time, an application for funding of the recordings.